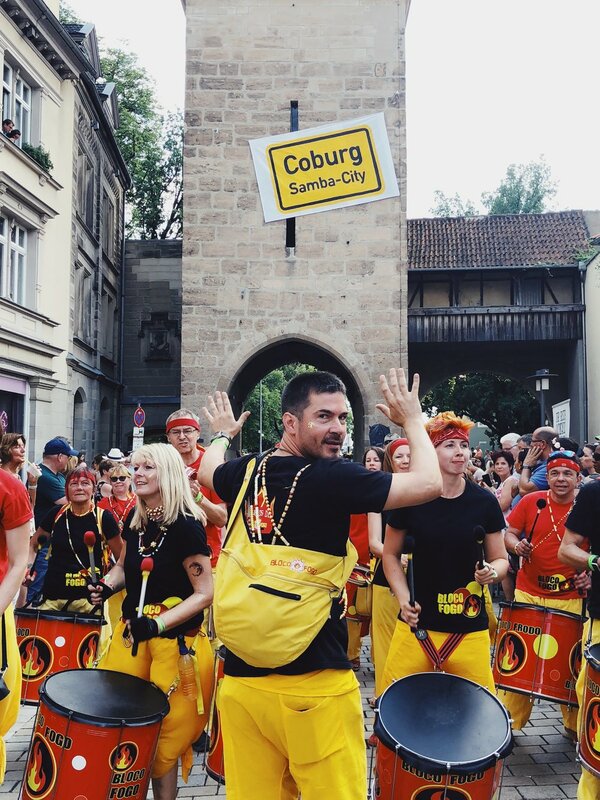 Bloco Fogo were accepted to participate in the 26th International Samba festival in Coburg, Germany between 14-16th July 2018. Months of rehearsal paid off as we played some amazing sets over the weekend, all over the city, culminating in a massive Samba Parade through the streets on the Sunday. 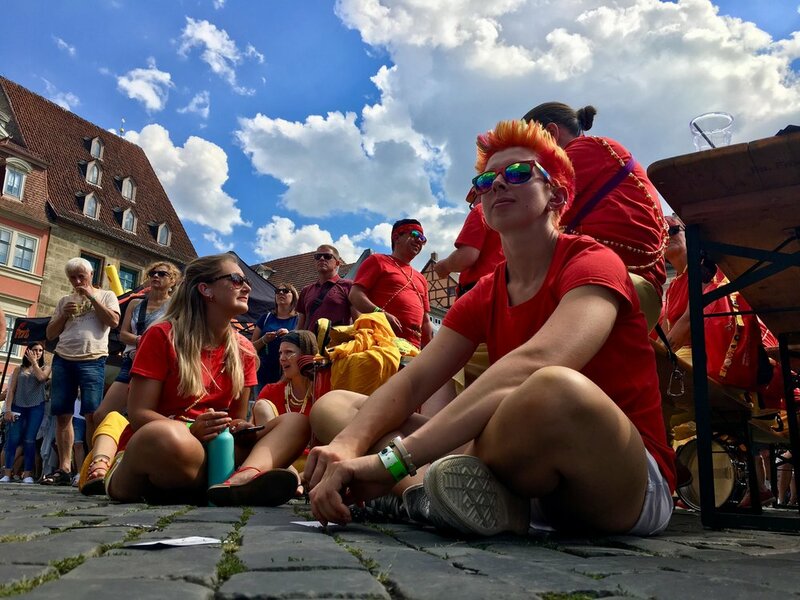 Around 3,000 drummers and numerous dancers came together in front of a 200,000 strong crowd as the city was transformed yet again in the Samba capital of Europe for the weekend. The 2nd largest samba festival in the world, 2nd only to the famous Rio festival held in Brazil. For this years event we had a strong band of 28 people, and what a great event to showcase our new logo design, flags and drums. A huge effort from everyone in the band this year, with a few notable standout contributions, you know who you are! We had people attending their 10th Coburg festival along with a few attending for the first time who were completely blown away by the enormity of the event and indeed the entire weekend. We even found time to absorb the culture with one or two Caipirinhas and immerse ourselves in whole the samba experience. So many bands, and so much energy and inspiration to bring back to our performance. Coburg we will return !